After decades of research and debate over the merits of diet and exercise, the world is finally waking up to the importance of the third pillar of personal health: sleep. From diminished productivity to serious health risks, we’re finally learning about why we need good sleep. As awareness of the importance of sleep has increased, so have the number of tips, recommendations, and cures for improved sleep. This may feel like a lot to sort through, so what are the scientifically sound ways to improve sleep, and what are the rationales behind them? A good starting point to take control of your sleep is to look at the major influences on sleep quality. These factors can be split into five major categories: genetics, circadian rhythm, sleep environment, behaviors, and other health conditions. Understanding how these factors interact will help you make changes in the things you can control, while hopefully learning strategies to deal with the factors you can’t really change. Despite the world’s growing interest in the topic, sleep remains one of the least understood phenomena in biology. What scientists do know is that sleep is highly regulated genetically. Your genes have been found to play a role in determining your general sleep preferences, such as whether you are naturally a morning person or a night owl, but they’ve also been tied to more specific sleep patterns, like insomnia. These genetic factors obviously can’t be changed, but knowing your body’s starting point will help you make appropriate changes in your lifestyle to improve your sleep. Our long-time followers know that we have been talking about circadian rhythm since we started building our first prototype, not only because it’s the area of focus for Lumos Tech, but also it’s the foundation of good sleep. Circadian rhythm is the 24-hour cycle of changes that take place in your body every day, somewhat independently of external cues. This internal ‘body clock’ is most widely known for regulating our sleep-wake cycle, but it has also been found to influence the function of your organs, including your lungs, liver, ovaries, and so on. 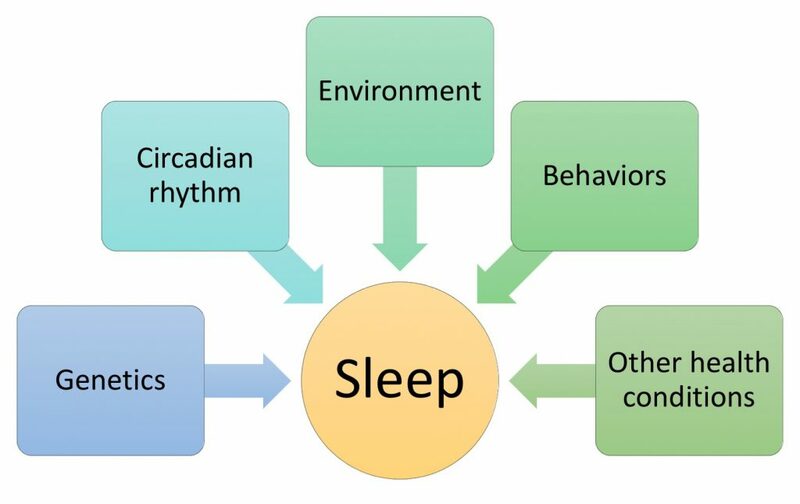 Many studies have correlated circadian rhythm dysregulation with negative health consequences such as altered metabolism and increased risk for cardiovascular diseases. Ideally, you want (and have time) to sleep when your body wants you to, but that’s not always the case. Circadian rhythm misalignment happens when your body clock keeps you up when you are trying to sleep, or makes you drowsy when you need to stay up. It is one of the primary causes of poor sleep. Circadian rhythm is the foundation of sleep. Trying to get good sleep when your circadian rhythm is misaligned is like trying to build the Empire State Building on the sand. To maintain a healthy circadian rhythm, having consistency in your sleep schedule will help you in the long run. Something as simple as going to bed and getting up at the same time each day will help your body make the most the hours you actually sleep. Counterintuitively, this also means that sleeping in on the weekend is actually a bad idea, as it will likely throw off your body’s schedule at bedtime. If you know your schedule will be disrupted, either due to travel, working the night shift, or going through puberty, light therapies can help realign your circadian rhythm with your desired schedule. This has traditionally meant using bright light-boxes for hours a week, but research at Stanford has shown that short light pulses, like those found in the Lumos sleep mask, applied to human subjects during the night can effectively shift circadian rhythms. This breakthrough technology quickly adjusts your circadian rhythm according to your preferred schedules while you sleep at night, helping you set a solid foundation for good sleep. To find out more about this research, watch this video from Dr. Jamie Zeitzer at Stanford University. Even if your circadian rhythm isn’t at odds with your schedule, there are further steps you can take to improve the quality of your sleep. As anyone who has tried to doze on an airplane knows, the environment around you can make a huge difference in how deeply you’ll sleep when you try to get some shut-eye. Just as the lights in the Lumos Smart Sleep Mask can convince your circadian rhythm that it’s time to start your day earlier, darkness helps our bodies commit to sleeping more deeply than they could with some form of ambient light on all night. 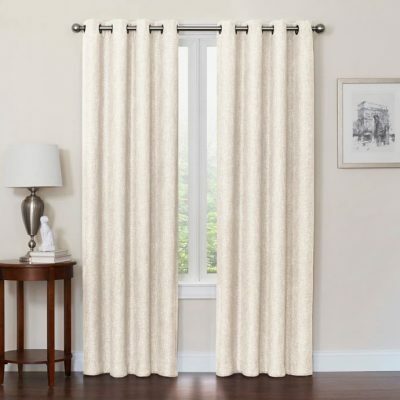 Luckily, total darkness can be easily achieved with thick blackout curtains, wearing an eye mask, or even putting a piece of cloth over your eyes. Most sleep improvement practices are long-term battles with various levels of efficacy, but creating total darkness in your bedroom is probably the simplest investment with the fastest return. Just be sure to let the light back in when you get up in the morning. While nobody wants to shiver in bed, our bodies don’t want to be too hot at night either. Lower temperatures in the evening generally act as a cue to our circadian rhythm that it’s nearly time for bed. As such, it’s recommended that hot baths or showers are taken at least an hour before bed, rather than right before you turn out the lights. The ideal temperature for sleep is what sleep doctors call “not too cold, not too hot”. Research suggests that temperatures too far from 72° Fahrenheit seem to interfere with both slow wave and REM sleep cycles. However, the ideal bedroom temperature is also influenced by bedding and clothing, as well as the amount of heat someone generates through blood flow to the skin. Even if you set a certain bedroom temperature, sleeping by yourself or with a partner makes a huge difference in your skin temperature. It requires experimenting for a few times to get to the optimal setting. When it comes to noise, again, different people have different preferences. Some people like their bedroom to be completely quiet, while others prefer to have background noise. Research has shown that constant low-level noise can improve sleep. This may even be connected to babies’ affinity for sleeping to the sound of a vacuum cleaner or air fan, which is thought to roughly remind them of the surprisingly noisy environment of their mother’s womb. Even if you’re not at an age where you want to be swaddled, white noise can be an effective way to mask smaller sounds that would otherwise be disruptive. Fans are well known for creating white noise, which is a random signal having equal intensity at all frequencies. Recently, studies have shown that another noise, called pink noise, improves sleep in elderly. Pink noise is similar to white noise, but with equal intensity sound across the five main octave frequencies. It’s not easy to tell white noise from pink noise by ear, and not much study was done to compare the efficacy of white noise and pink noise in improving sleep, so it may be worth exploring with experimentation if you’re looking for the perfect sound to sleep to. The term sleep hygiene refers to a variety of different practices and habits to help us sleep well and be energetic during the day. What we do in the evening and during the day have various impact on sleep. This article would be too long if we discuss each and every one of them, because most of them are like noise – there’s a fair degree of personal preference involved, requiring some exploration and experimentation. When deciding what works for you, keep in mind that you want to direct your behaviors to achieve two goals: 1) to increase sleep drive, and 2) to wind down before bed. Sleep drive is a term used by sleep scientists to describe a sort of ‘hunger’ for sleep. The longer you stay awake, the more sleep drive that you build up. If you take a nap, your sleep drive is temporarily relieved. However, just like snacking takes away hunger but also affects appetite, taking a nap may have a negative impact on your sleep drive and ultimately your sleep quality. If you do take a nap during the day, make sure that you keep it under 30 minutes, and don’t take it too late during the day. In modern society we are always busy running around to meet work and family demands, which can cause our mind and body to be very tense and alert, even if we’re not aware of it. Making an effort to slow our body and mind down before bed is critical for good sleep. Take actions to calm your brain: meditation, reading, time with family, and so on. Try avoid relaxing by staring at backlit phones, tablets or televisions, as the bright, blue-frequency light can confuse your circadian rhythm and keep you awake later into the night. Different people will be more or less sensitive to some of these behaviors, so you should experiment to find the ones that work the best for you. As long as you’re reducing your body’s cortisol production, which helps keep us alert, you should be on the right track. Sleep apnea is a common and serious sleep disorder that causes you to stop breathing during sleep. Many people with sleep apnea have not been diagnosed or received treatment. To get diagnosed, you may participate in a sleep study where a doctor monitors a variety of functions during sleep including sleep state, airflow, and blood oxygen levels while you stay overnight in a sleep lab. The typical treatment for sleep apnea is using a CPAP device. Philips and ResMed are the two leading suppliers for CPAP devices. Chronic snoring is a strong indicator of sleep apnea, but only about half of the people who snore loudly have obstructive sleep apnea. However, even if snoring is not a problem for the person snoring, it could just as easily disrupt the sleep of anyone else in the room. 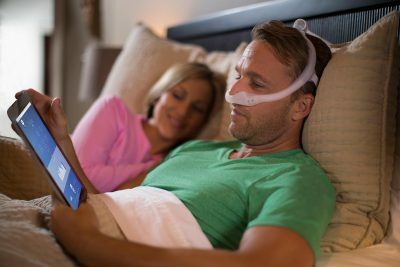 Philips just announced a novel solution to stop snoring at CES 2019. Instead of giving your bedmate a pair of earplugs, this solution may not only show how much you care about your partner but also potentially improve sleep by stopping you from snoring. Poor sleep can be a primary condition on its own, or it can be the secondary symptom of other diseases and conditions, for example, chronic pain, depression, or cancer treatment. In any of these cases, you should consult your doctor on how to get better sleep. Even if you have poor sleep due to other conditions, there are supportive resources available to help you. If you are going through some difficult time, there are therapists available to untie your mental and emotional knot; if you are can’t sleep due to acute conditions, you can try the medicine prescribed by psychiatrists to at least get yourself temporarily out of the physiological stress of having no sleep; if you are having chronic insomnia, there are sleep doctors available who may guide you with CBT-i treatment. There is also an online community called HealthUnlocked where you can discuss your condition with hundreds of people like you. It is easy to feel frustrated when you don’t sleep well. There are 9 million people in this country share your pain, including me. If you wonder why I know all these things about sleep, my interest stems from my personal life. Several years ago I was going through a rough patch and was up all day and all night. Fortunately, help was there when I needed it. I went through the process of seeing a psychiatrist for sleep medication, seeing a therapist (or rather, therapists) for emotional support, and then seeing a sleep doctor for CBT-i treatment. 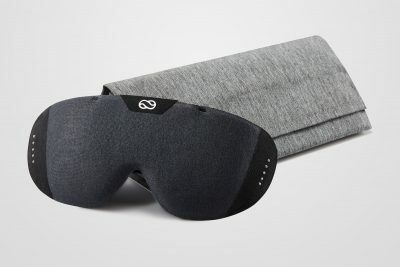 Even after getting over that insomnia hurdle, I still use blackout curtains for my bedroom and the Lumos Smart Sleep Mask to adjust my circadian rhythm when traveling to different time zones. I can’t say that I’ve been through your pain because everyone is different, but what I can say is that there might be a way to solve, or at least improve, your sleep. Everyone’s sleep needs are somewhat unique, and so the best approach to improving sleep is by creating a supportive and personalized sleep-ecosystem for yourself. If I can get over my dark, sleepless days and sit here to write my story, chances are you can, too. In an early grant we co-wrote with our scientific advisor, Jaime Zeitzer, was this gem of a sentence: “A misalignment between the circadian clock and the need for sleep leads to fatigue and concomitant physical and mental impairment.” That may be easy for him to say, but we should probably unpack this statement and address why the circadian clock is fundamental to sleep quality. In very simplistic terms, sleep is regulated by two body systems: sleep/wake homeostasis and the circadian biological clock. Sleep/wake homeostasis is a fancy way of saying that we get tired when we have been awake for a long period of time— this is your basic need for sleep. If this were to only process regulating our sleep patterns, then it would mean that we would be most alert as our day was starting out, and that the longer we were awake, the more we would feel like sleeping. But it’s obviously not as simple as this, as anyone who has struggled to fall asleep at night has experienced, and that is because our circadian biological clock regulates the timing of periods of sleepiness and wakefulness throughout the day. So if you’ve ever felt more sleepy in the early afternoon than 11 pm, that’s most likely a result of your circadian rhythm. The circadian system generates a “clock dependent alerting process during waking hours,” which basically means that your body produces hormones like cortisol that cause you to feel alert during certain times of the day, as set by your internal biological clock. Trying to sleep during these times leads to worse sleep quality, because you are essentially fighting your biological clock. 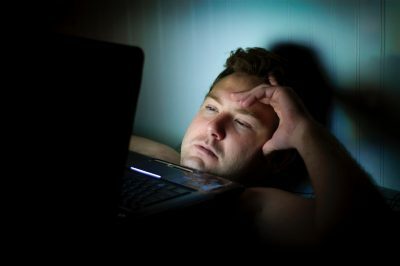 For instance, if you are an extreme night owl (perhaps you even have Delayed Sleep Phase Syndrome), this means that trying to force yourself to go to sleep at 10 pm and wake up at 6 am is likely to result in poorer sleep quality than if you go to bed and wake up according to your own circadian rhythm, say going to bed at 2 am and waking up at 10 am. Many, many teenagers have issues related to the conflict between their hormonally delayed circadian rhythm and biologically ill-advised early school start times (See here for more on adolescent sleep needs). One of the most effective ways to adjust your circadian rhythm is through the use of bright light, because light naturally regulates the circadian clock. As I wrote about in a previous post, light activates specialized non-vision forming cells in your eye called intrinsically photosensitive retinal ganglion cells (iPRGs), which then communicate with a region in your hypothalamus called the suprachiasmatic nucleus (SCN) to control the release of hormones like melatonin and cortisol. Changing your circadian rhythm can be easy or extremely difficult, depending on your specific biology- it can be as simple as getting more sunlight at appropriate points during the day, or require a considerable amount of effort. Currently, all commercially available light-based approaches to regulating circadian rhythm involve the use of continuous bright light, which typically involves sitting in front of a bright light box for 1-3 hours per day. We are looking change that with technology that was discovered and clinically validated by Stanford researchers, and we are excited to offer a product that can not only collect sleep data, but can use this data to help shift your circadian cycle to optimize sleep quality. So soon, you will be able to easily reset your circadian rhythm to meet the demands of your daily schedule! Happy sleeping! In very simplistic terms, sleep is regulated by two body systems: the homeostatic sleep drive and the circadian biological clock. Homeostatic sleep drive is a fancy way of saying that we get tired when we have been awake for a long period of time. If this were to only process regulating our sleep patterns, then it would mean that we would be most alert as our day was starting out, and that the longer we were awake, the more we would feel like sleeping. Being genetically prone to poor sleep, I’ve spent all my life searching for sleep solutions. I’ve tried countless sleep products on the market that make sense from the scientific standpoint: blackout curtains, melatonin, sleeping pills, white noise apps, meditation, and finally cognitive behavior therapy with a sleep doctor in Stanford Sleep Clinic. My passion for solving the problems of my own led me to start a sleep company. While we are still developing prototypes, I realized that I should see what new technology is available for sleep problems at the Consumer Electronics Show (CES) in Las Vegas, NV. One more day and we are saying hello to the holiday! No matter whether you are a VC who is on 5-hour sleep schedules most of the year, or a CEO who has teleconferences day and night with business partners around the globe, or a parent who has been sacrificing your sleep for the kids in the past year, you have been working hard all year and it’s time to take a break and enjoy the long-overdue vacation that you deserve.